Pharma Latest News Regarding Generic Medicines – Pharma industry completely got shook when the news related to branded and generic medicines came out. Indian Government is deciding to change the scenario of the pharma companies and their ways to sell medicines. If this law came into practice, then rural population of the country would be benefited the most. Here, we will discuss on the most heated conversation of the pharma industries. There is no difference between the generic and branded medicines except the extravagant prices branded medicines are sold at. This is a serious issue and should be made in practice for the welfare of the society. People will have an easy access to the medicine without paying extra pennies. A generic medicine is basically the identical copy of the brand name drugs in terms of everything. Their dosage form, quality, strength, safety, route of administration etc. all are same. The only difference between generic and branded medicines is the price they are sold at. Generic drugs identical to the branded drugs are sold at much cheaper rates than the latter. Reason being branded drugs advertises well and they are known to the population and are trusted by millions. Generic medicines are the products whose patents have been expired. They are either sold as a branded product or as an unbranded product. For example, Paracetamol is a generic medicine which is a pain reliever and crocin is one brand name for this generic medicine. Both are only differentiated on the price they are being sold at. A few days ago, Indian government made an announcement to make amendments in the medical industry. The government is intended to make a law to ensure that the doctors only prescribe generic medicines to the people. Now, this move undoubtedly will benefit the country’s population but will brutally affect the pharma industries. The investment on reaseach and development of new medicines would not be recovered if only generic medicines are sold in the market. Not only pharma companies would be affected but also the chemists or pharmacies that sell these medicines. Reason being, the profit margin would be reduced less. Will this move made by the government work? This is still a debatable topic in the country. On one hand, this move has been made by the Indian Government so that people can easily afford high quality medicines at low rates. On the other hand, pharma companies will lose all hopes to make new medicines as their efforts will not cost them the required profit. Below mentioned are some of the points that will help in deciding if this move will work or not. Generic drugs share of the market which is 80 per cent at present (20 per cent is accounted for by branded and patented drugs), is expected to go up to 90 per cent in the next three years if this move will work. One fear that holds back is that this problem might shift from pharma companies to the chemists. Reason being they will only sell the medicines that will provide them profit. Pharma industry is obviously who is very enthused by the news. This can become a problem for the doctors to write prescription especially for combination medicines with different formulations. While, most of the country’s population will benefit the most. They can afford to buy the medicines at cheap rates and get the same amount of benefit as the branded medicines. The main goal of this change for the pharma industries is the affordable access to the medicines under the healthcare services. However, this has not impressed the pharma manufacturers at all. With the government’s push for this decision, the dream of universal healthcare might get receding. But overall, this is a good and practical step in favor of the country’s population. With the World Class Manufacturing Facilities in Maharashtra & Gujarat India, Taj Pharma India as a manufacturer, marketing and PCD Franchise company Taj Pharma, is a single-point source for all your Pharma PCD, Pharma Franchise, 3rd party manufacturing & contract manufacturing . Eight WHO-cGMP Units, ISO 9001:2015 and GMP compliant quality control processes. We are a GMP, GLP and ISO 9001:2015; UKAS Certified company. We are WHO GMP compliant pharma manufacturer in Maharashtra and having 3 decades of experience in manufacturing of pharmaceutical preparations in all gallanical forms. We offer Tablet, Capsules, Dry Syrups(non-beta) Oral Liquids, Nutraceuticals etc., We have been manufacturing and marketing our products for well over three decades and in this time our customers have come to value us for: Consistent quality, On-time deliveries, Well refined manufacturing procedures and, Cost efficiency. An extremely high-quality combination of professionals and technology allows us to keep on top of the pinnacle of success in manufacturing a wide range of tablets, capsules, syrups. Our team is headed by able and experienced managers. It comprises over 50 well-qualified technical personnel and 200 workmen, all dedicated to delivering the highest possible levels of customer satisfaction. 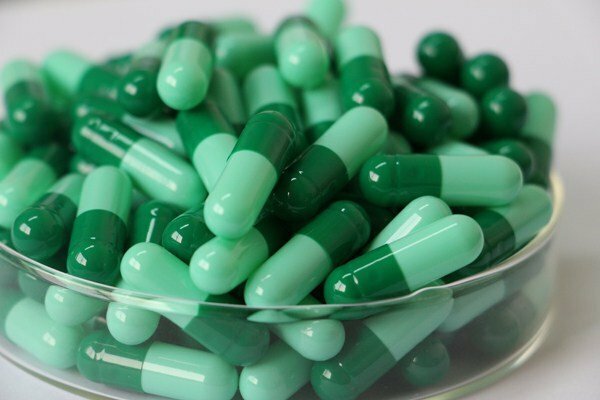 Being a client-oriented organization, we are engaged in manufacturing, trading, exporting and supplying Pharmaceutical Capsule that do not contain any impurities. Our entire range is processed using quality approved ingredients under hygienic environment. In order to ensure premium quality, these capsules are stringently tested under the supervision of our adroit professionals. Our offered capsules are highly appreciated among our clients for their accurate composition, effectiveness and purity. Our offered capsules are available in tamper-proof packaging to maintain their quality and shelf life.